I imagine this will available when I lived in Korea from 1998-2006, but I was never able to track down information on it. 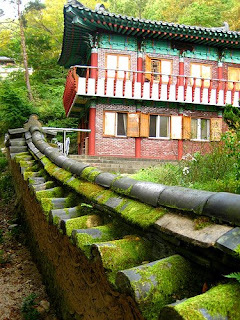 Either way, if you happen to be visiting Korea and are looking for a unique experience, I strongly recommend a stay in a Buddhist Temple, a service offered by Temple Stay. One does not have to be Buddhist to participate. The programs range from a half a day to an overnight stay (as well as multiple night sessions). It ranges in price (depending on the temple) from 20 000 Won to 80 000 Won and has to be considered an affordable option to really experience the country and its culture. Korea adopted the Chogye Order of Buddhism, which was founded in 1354 as a means of unifying all the different Buddhist currents running through Korea at the time. Chogye ascribes to one of three tracks, the most famous being Seon (Zen), although many Buddhist monks can be found in Korean universities and in artistic fields. If you want to learn more about Jogye, go to this article or read the Wikipedia article. There are strong parallels to the monastic life prescribed in many other religions, including the monastic Catholic orders. In this respect, it seems like a natural compliment for intense introspection. If I were to do this Temple Stay, I would most definitely choose Goglulsa, a temple close to Gyeongju, the ancient capital of the Silla Dynasty. 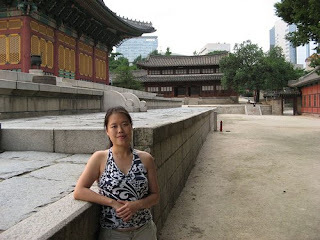 It is my favorite place in all of Korea and does not take very long to adjust to its slower rhythms, speech, pace. Absolutely stunning. If you are interested, do take a look at the Temple Stay website.